In a religious tradition with no creed and no hierarchy, it is sometimes hard to see what it is that binds Unitarians together. 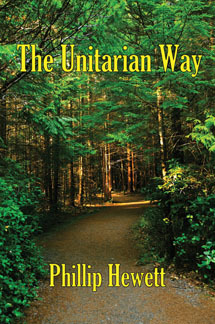 In The Unitarian Way, Phillip Hewett sets out to discover the common elements that characterize Unitarianism, from its historical roots in the Renaissance to its varied expressions in the world today. In twelve wide-ranging chapters he explores the characteristic Unitarian blend of faith and doubt, reason and intuition, commitment and openmindedness, individuality and community. Phillip Hewett is minister emeritus of the Unitarian Church of Vancouver, where he served as minister for 35 years. He is the author of a number of books, including Unitarians in Canada and Racovia.